Completely seals sound underlying metal. Adheres to surfaces even with minimal preparation. Suitable as a primer with any coating including high solvent finish. Deep penetration of material - may be used on new or rusted metal to form a solid stable layer that other coatings can firmly adhere to. Remove all loose & flaking rust; scale and old paint back to a sound surface/ edge. Surfaces exposed to chemicals (acids,alkalis or salt deposits) should be washed using copious amounts of water or steam cleaned. Ensure surface is clean, dry and free of any oil or grease. Stir or shake can well before and during use. Do not dilute. Apply 1st coat of OWATROL C.I.P. and allow to dry. Apply a 2nd coat of OWATROL C.I.P. and allow to dry. 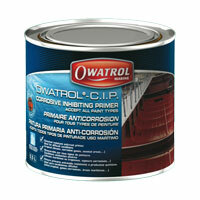 On severely corroded surfaces apply a 3rd coat of OWATROL C.I.P. Apply finish coat after recommended time. With OWATROL C.I.P., sand or shot-blasted surfaces do not require immediate priming. A light rust coating will not affect its performance or the final result. Any rags soaked in OWATROL C.I.P. 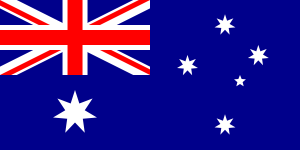 may spontaneously catch fire if improperly discarded. Touch dry / Recoat time : 6H. / 48-72H.